You are powerless, Only through the Gods do you have strength. You own nothing, Only the Gods may lay claim to earth's riches. You have no will, Only the Gods may weave your fate. You are nothing. 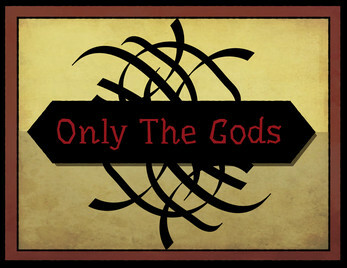 Only the Gods. Only The Gods is a tabletop role-playing game with simple mechanics to get you into the act of serving and defying the Gods efficiently. The game revolves around resources of Faith, Fate, and the gifts of the Gods. Come, face your lack of value in the face of the divine, fulfill your purpose in a world dominated by the Gods, always in conflict, always moving.